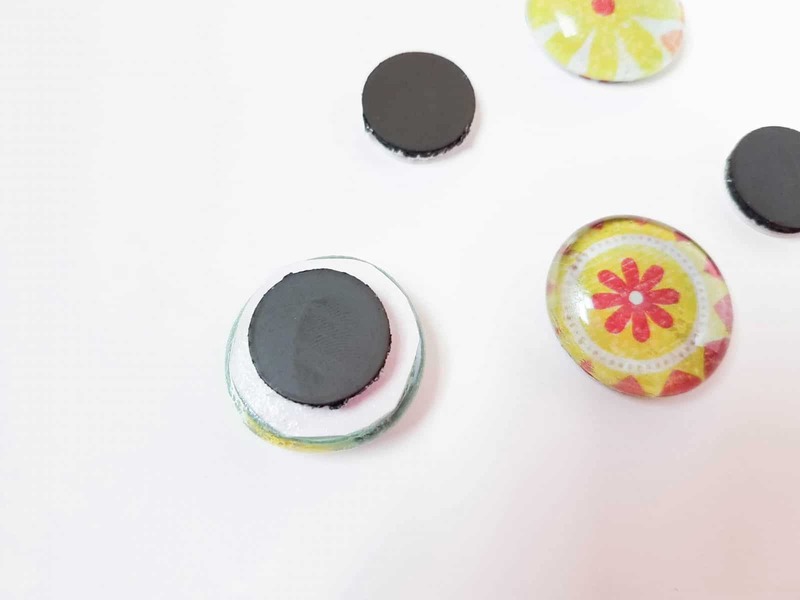 This weekend give your fridge door a makeover with these fun DIY glass gem magnets. 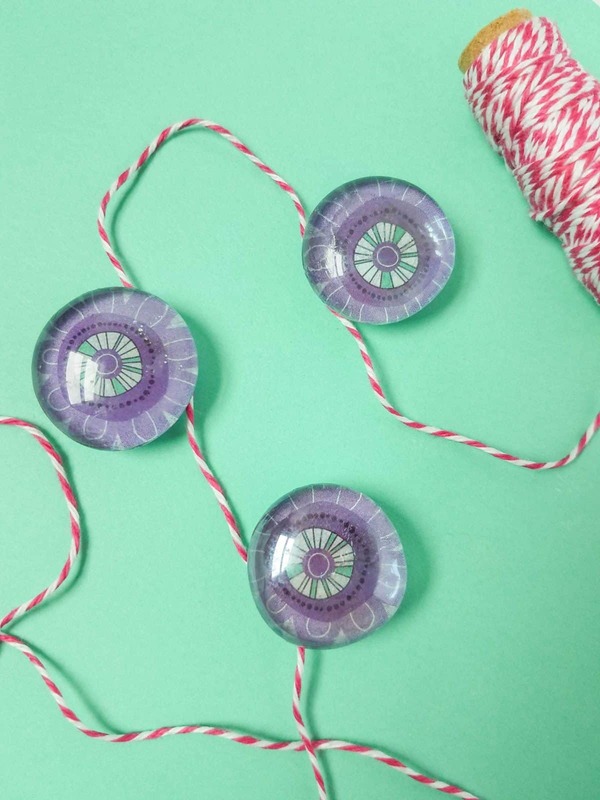 They’re easy to make and you can choose colors to match your kitchen decor! 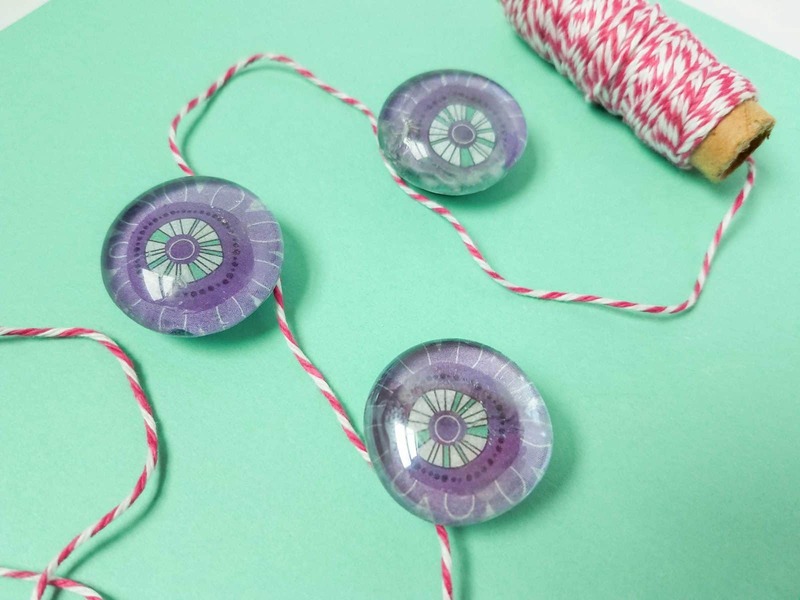 Y’all love our collection of DIY fridge magnets and readers have been asking “how do you make a glass gem magnet?” So that’s the DIY project we have for you today! 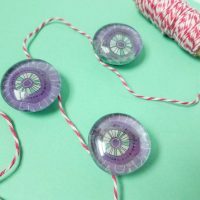 Whether you call them glass gems or glass marbles they’re the perfect choice for making refrigerator magnets because you can personalize them to match your kitchen decor. They make great gifts too, because everyone needs a pretty magnet in their life right! 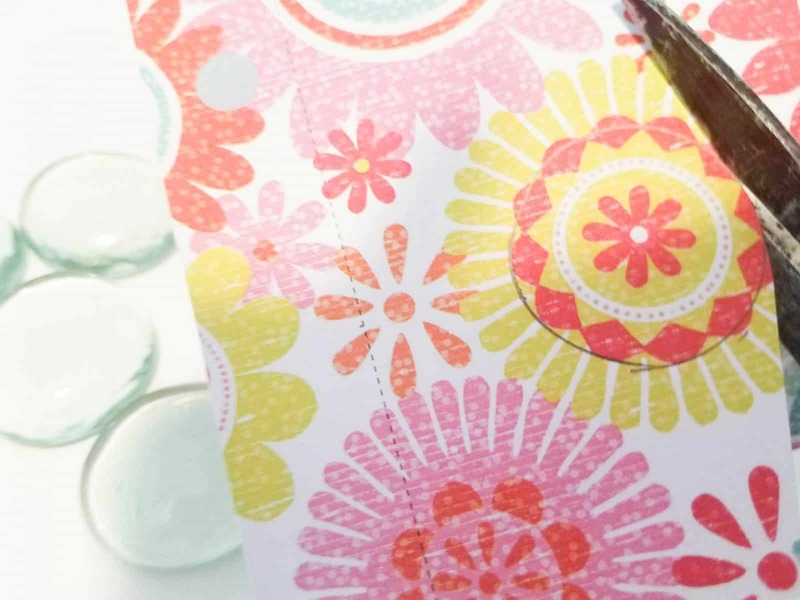 This project is perfect for using up those scraps of designer paper you’ve been holding on to! When choosing a design think about the color scheme in your kitchen or office if you want to match the decor. And remember those glass gems are pretty small so a paper with a small pattern on is a good idea. Once you’ve picked out your paper simply place one of the gems over the part of the design that you want to show through and draw around it with your pencil. When your circles are drawn out cut around them carefully with your scissors. 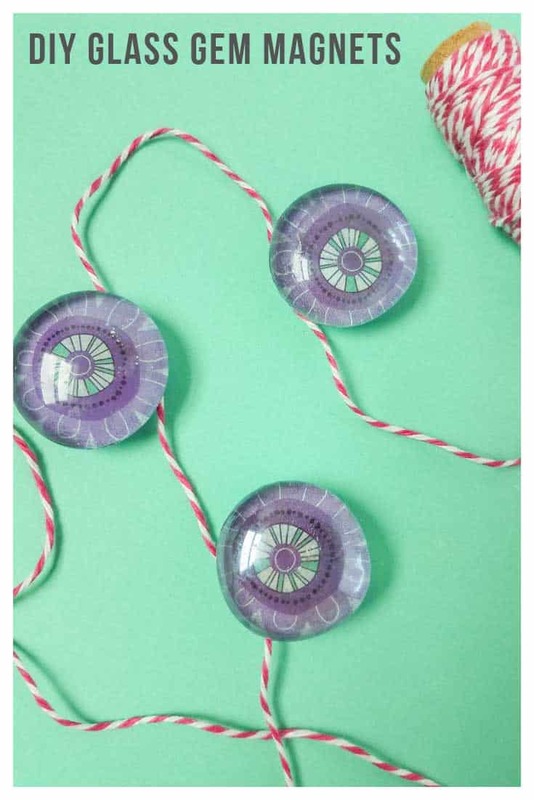 If you happen to have a 25mm circle punch in your craft kit you could use that to make perfect circles. If you wanted to make monogram magnets now is the time to add your letter to the paper circle. You could hand letter it, or use a stamp or a sticker. Now it’s time to add a layer of Mod Podge to the back of your gem. Make sure you cover it all. 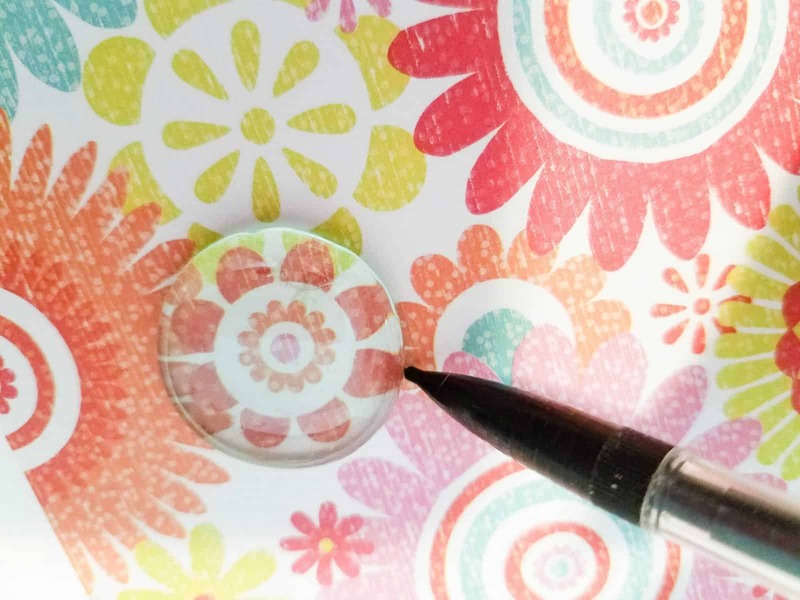 Now carefully position your paper circle, with the pattern side down onto the gem, and then add another layer of Mod Podge to the back. Set your gems aside until they are dry. 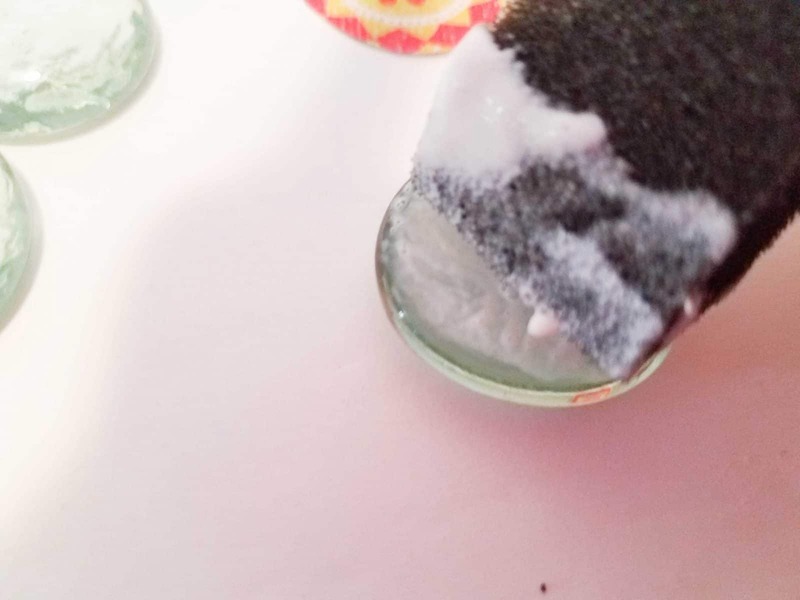 When your Mod Podge is completely dry (don’t rush it!) 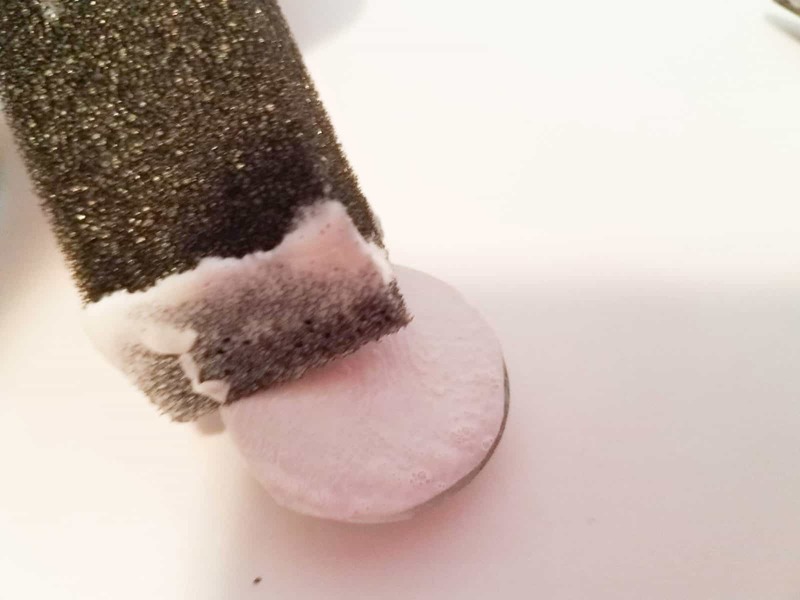 you can peel the paper off the back of your magnet and stick it onto the back of the gem. 6. Stick on the fridge and admire your new glass gem magnets! And that’s it! You’re all done. You can attach your magnets to your fridge or your magnet board. This project is super simple and doesn’t take much time at all. Why not make some seasonal magnets for Valentine’s, Easter, Halloween or Christmas? They make great gifts and stocking stuffers too. Just remember that the glass gems are small, and magnets and children do not mix so keep them up out of reach of any little ones. Previous PostPrevious Fabulous Elephant Crochet Patterns that Make Great Gift ideas!